RTG’s medieval – themed Coat of Arms is like a breath of fresh air indeed. 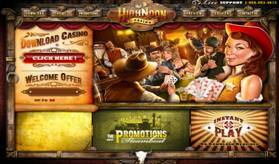 a modern online slot machine, plus a bag of chips. Featuring 5 reels and 25 pay lines, the game has all sorts of wild symbols, scatter symbols, free spin rounds, re-spins and jackpots. There are also a few features meant to facilitate player-friendliness, like the auto-play feature and the turbo-play one which speeds the action up for those for whom time is indeed money. 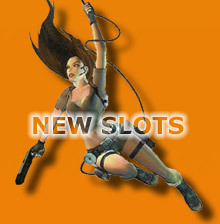 The coin-sizes featured range from 0.01 – 1 credits/pay line, which means that the maximum amount one can bet on the game is 25 credits. 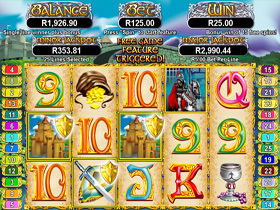 It is always recommended that you play maximum coins in order to maximize your odds. 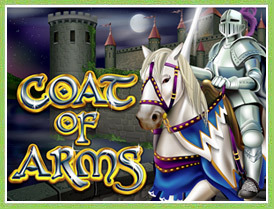 The Coat of Arms slot features 2 randomly awarded jackpots: a Minor Jackpot and a Major Jackpot. Both of these jackpots are given out at random, so the only way to know that you have won is to check your real money account for a significant spike of extra funds. Of course, in order to win the Major Jackpot instead of the Minor one, you should play maximum coins. The Black Knight is a wild symbol, which means it substitutes all symbols except the White Knight. When there are one or more Black Knights on a winning line, the prize for that line is doubled. which step up to the next level after every 5 spins. 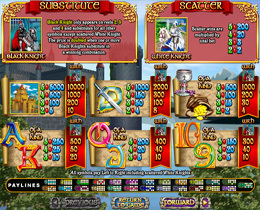 During free spins, the Purple Crown symbol will also act as a wild symbol. 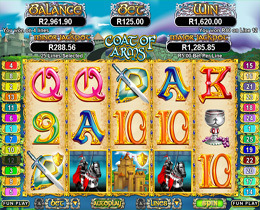 Coat of Arms Slot Game Screen Shots And Pay Tables - RTG / Real Time Gaming. 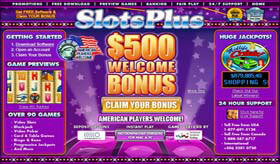 Welcome Bonus: 750 Credits - VIP Loyalty Points - Monthly/Weekly Bonuses. 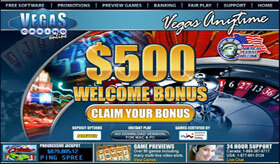 Welcome Bonus: 500 Credits - VIP Loyalty Points - Monthly/Weekly Bonuses. 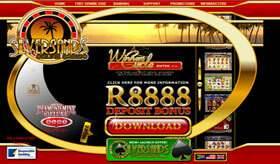 Welcome Bonus: 8888 Credits - VIP Loyalty Points - Monthly/Weekly Bonuses.